Eminem has come to terms with his own rage stemming from a troubled childhood in hit songs like Cleanin' Out My Closet. 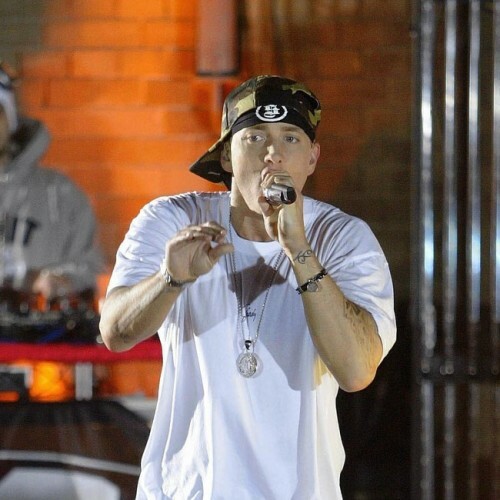 And more often than not his vicious verbal barbs were directed at his mother Debbie Mathers, reports dailymail.co.uk. But in a new video for the song Headlights, the rapper voices his regret over vilifying Debbie in such a public manner - which was released, fittingly enough, on Mother's Day. In the video, directed Spike Lee, Eminem aka Marshall Mathers claims that his children have never met their grandmother Debbie - except once by accident. The short film is almost entirely from his mother's point of view, as it dramatically depicts the loneliness of her life (with an actress portraying her) as he shuts the woman who birthed him out of the lives of his children and his own success.